Drake says: "Shadows Over Camelot is a unique collaborative game featuring a malevolent twist! As the incarnation of the Knights of the Round Table, players work together to defeat the forces closing in on Camelot. But players must be vigilant for a traitor in their midst who is biding his time – secretly sowing the seeds of havoc and destruction. Yet too much suspicion will undermine the knights' efforts to protect the kingdom." 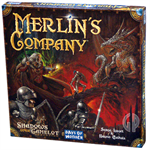 John says: "Shadows Over Camelot is rare in that it's a COOPERATIVE board game. If your looking for a game that accommodates many players, this is a highly recommended. It may look like a very deep "gamers" game, but it's a fairly easy and exciting experience!" 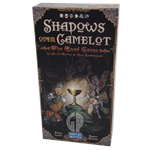 Check out "Shadows Over Camelot" on BoardGameGeek.com! 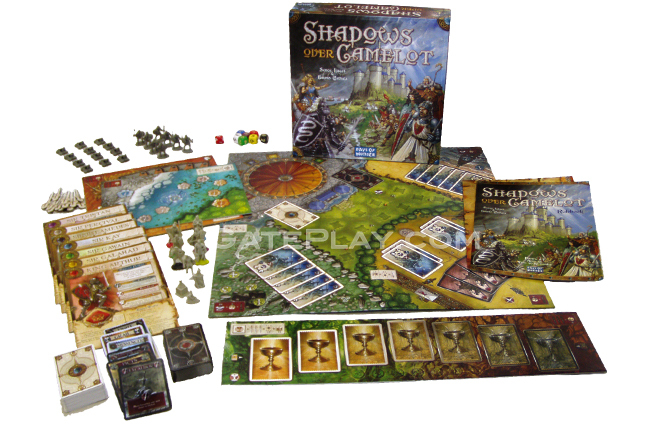 Check out "Shadows Over Camelot" on KidGameRatings.com!